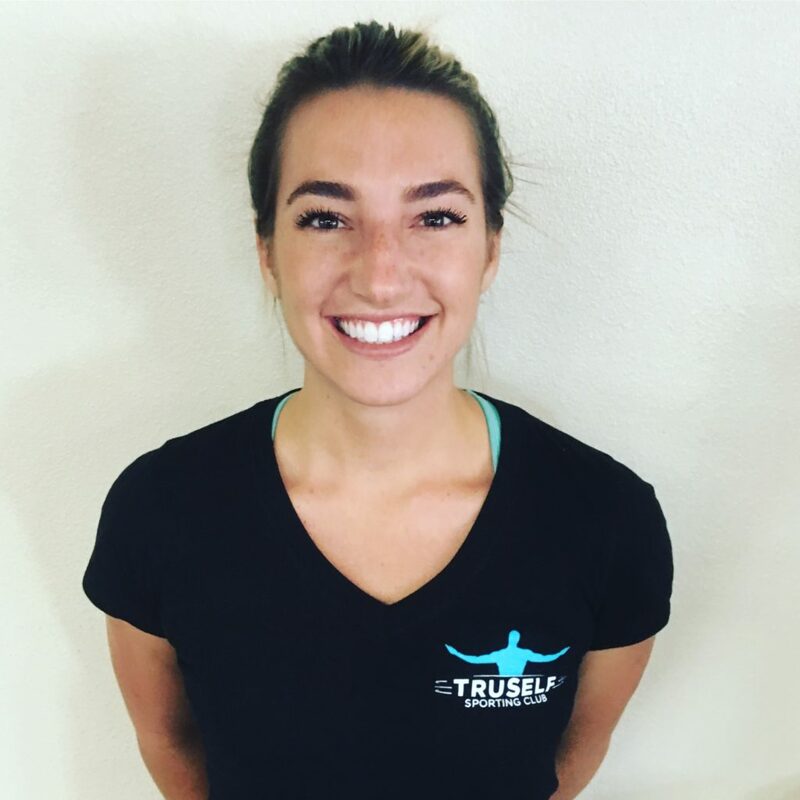 Welcome Kelsey Tyler to the TruSelf Sporting Club San Diego gym Personal Training team. Personal Trainer Kelsey Tyler was born and raised at Lake Tahoe, CA. This is where she learned to love the outdoors, snow, skiing, and soccer. She even used to be a competitive gymnast! She’s lived in three countries and grew up learning Spanish throughout her school years. Her travels have helped her discover and cultivate a strong passion for people, and her own weight loss journey is what really drew her toward fitness and healthcare. After losing almost 20lbs of weight within the past year, Kelsey took it upon herself to ditch a career in accounting and combine her passion for activity, natural abilities, and her education in exercise to better other people’s lives by helping them get stronger. To book you’re complienary assessment with Personal Trainer Kelsey Tyler, please fill out the Contact Form here.